The town is home to the Bennington Battle Monument, which is the tallest human-made structure in the state of Vermont. The town has ready access to natural resources and waterpower, and a long history of manufacturing, primarily within wood processing. The town is also recognized nationally for its pottery, iron, and textiles. First of the New Hampshire Grants, Bennington was chartered on January 3, 1749, by Colonial Governor Benning Wentworth and named in his honor. It was granted to William Williams and 61 others, mostly from Portsmouth, New Hampshire. The town was first settled in 1761 by four families from Hardwick and two from Amherst, Massachusetts. They were led by Capt. Samuel Robinson, who camped in the river valley on his return from the French and Indian War. There are three historic districts within the town today: Old Bennington, Downtown Bennington and North Bennington. Of these, Old Bennington is the original settlement, dating back to 1761 when Congregational Separatists arrived from Connecticut and from Amherst and Hardwick, Massachusetts. In the early 1800s, Downtown Bennington started developing, and by 1854 the county's population had reached 18,589. The town is known in particular for the Battle of Bennington, which took place during the Revolutionary War. Although the battle took place approximately 12 miles (19 km) to the west in what is now the state of New York, an ammunition storage building located in Bennington was an important strategic target. On August 16, 1777, Gen. John Stark's 1,500-strong New Hampshire Militia defeated 800 German (Hessian) mercenaries, local Loyalists, Canadians and Indians under the command of German Lt. Col. Friedrich Baum. German reinforcements under the command of Lt. Col. Heinrich von Breymann looked set to reverse the outcome, but were prevented by the arrival of Seth Warner's Green Mountain Boys, the Vermont militia founded by Ethan Allen. In 1891, the Bennington Battle Monument was opened. The monument is a 306-foot-high (93 m) stone obelisk that is the tallest human-made structure in Vermont. It is a popular tourist attraction. Bennington is located in southwestern Bennington County at 42°53′28″N 73°12′29″W. To the west is New York State, Pownal, Vermont is to the south, Shaftsbury, Vermont is to the north and Woodford, Vermont is to the east. Due to its location in the southernmost portion of Vermont, it is geographically closer to the capital cities of Albany, Hartford, and Concord than it is to its own state capital, Montpelier. According to the United States Census Bureau, the town has a total area of 42.5 square miles (110.1 km2), of which 42.2 square miles (109.4 km2) are land and 0.27 square miles (0.7 km2), or 0.59%, is water. Bennington is drained by the Walloomsac River and its tributaries, flowing to the Hoosic and then the Hudson River. The town is located along the western edge of the Green Mountains, including Bald Mountain, which occupies the northeastern edge of town. (Its 2,857-foot (871 m) summit is just over the town line in Woodford.) In the southwest part of town is 2,350-foot (720 m) Mount Anthony, part of the Taconic Range. Bennington experiences a humid continental climate (Köppen Dfb) with cold, snowy winters and warm to hot, humid summers. Snowfall can vary greatly from year to year. The town can experience snowfall as early as October and as late as April, and the surrounding high country can receive snow as late as May. Nor'easters often dump heavy snow and wind on the town during the winter, and accumulations of one foot of snow or greater are not uncommon when these storms move through the area. One such storm dumped very wet, heavy snow on October 4, 1987, catching many residents off guard because it occurred quite early in that year's fall season. The storm resulted in many downed trees and power lines, due in part to that year's fall foliage still being intact. Abundant sunshine, along with heavy showers and thunderstorms, are frequent during the summer months. Although tornadoes seldomly occur there, an F2 tornado did hit North Bennington on May 31, 1998 during an extremely rare tornado outbreak in the region. The record high is 98 °F (37 °C), set in 1955. The record low is −25 °F (−32 °C), set in 1994. July is typically the wettest month, and February is the driest. Bennington averages 60.77 inches (154 cm) of snow annually. Bennington lies in USDA plant hardiness zone 5a. As of the 2010 US census, there were 15,764 people, 6,246 households, and 3,716 families residing in the town. The population density was 370.92 people per square mile (143.18/km2). There were 6,763 housing units at an average density of 159.3 per square mile (61.4/km2). The ethnic/racial makeup of the town was 95.9% White, 1.3% from two or more races, 1.2% Black, 0.8% Asian, 0.4% from other races, 0.3% Native American, and 0.1% Pacific Islander. Latino of any race were 1.7% of the population. There were 6,246 households out of which 25.9% had children under the age of 18 living with them, 40.2% were couples living together and joined in either marriage or civil union, 14.2% had a female householder with no husband present, and 40.5% were non-families. 33.0% of all households were made up of individuals and 14.5% had someone living alone who was 65 years of age or older. The average household size was 2.29 and the average family size was 2.88. In the town, the population was spread out with 23.5% under the age of 18, 10.7% from 18 to 24, 26.1% from 25 to 44, 22.0% from 45 to 64, and 17.8% who were 65 years of age or older. The median age was 38 years. For every 100 females there were 87.0 males. For every 100 females age 18 and over, there were 82.6 males. The median income for a household in the town was $39,765, and the median income for a family was $51,489. Males had a median income of $39,406 versus $30,322 for females. The per capita income for the town was $23,560. About 14.2% of families and 15.1% of the population were below the poverty line, including 25.0% of those under age 18 and 6.9% of those age 65 or over. Bennington employs a representative town meeting form of local government, wherein an elected seven-member Select Board represents the town's citizens at large from two districts. The Select Board is considered the "executive branch" of the town's government, which in turn hires and supervises a Town Manager. As of 2013, the current town manager is Stuart A. Hurd. The current Town Clerk is Cassandra J. Barbeau. Four representatives from Bennington's two voting districts currently represent the town in Montpelier. Bennington County is also represented by two state senators. The town is protected by both the Bennington Fire Department and the Bennington Rural Fire Department. The current chief of the Bennington Fire Department is Jeff Vickers, and the current chief of the Bennington Rural Fire Department is Wayne Davis. The town is protected by the Bennington Police Department, which consists of 40 sworn and non-sworn officials serving the town, including the villages of Old Bennington and North Bennington. The police station's home is at 118 South Street in downtown Bennington. Its current Chief of Police is Paul J. Doucette. The Bennington County Sheriff's Office provides prisoner transport, traffic control, court security, and a Drug Taskforce, among other roles for the town and the remainder of Bennington County. The current Sheriff is Chad D. Schmidt. The Vermont State Police serve the town as well, operating from their substation in Shaftsbury. Industries related to agriculture, forestry, fishing, trade and retail, tourism, shipping by air, health care and government related jobs help shape and play a vital role in Bennington's economy. Bennington County, as of 2013, has 15,194 non-farm employees living or working within the county as of 2013. Southwestern Vermont Medical Center, with a workforce of approximately 1,300 employees, is the town's largest employer, and the seventh largest in Vermont. Its largest for-profit manufacturing employer is NSK Steering Systems America, Inc., with a workforce of 864 as of March 2013. Bennington leaders have formed the Bennington Economic Development Partners to facilitate and expedite economic growth. Working from a newly created Strategic Economic Development Plan that promotes the benefits afforded to companies located in the local area. Foreign Trade Zone, EB5, low interest loans, site-ready properties for manufacturing, R&D, Retail, and Technology are a few of the benefits available to new and existing industries. The Town of Bennington Economic and Community Development Office, the Better Bennington Corporation, the Bennington Area Chamber of Commerce, Bennington County Regional Commission, and Bennington County Industrial Corporation are just some of the partners who coordinate the efforts of the Strategic Plan. Bennington's "big box" development is mostly confined to the Northside Drive and Kocher Drive corridor in the northern portion of town. Bennington has a historic downtown with businesses that include cobblers, a barber shop, chocolatier, bakery, cafes, pizza parlors, live theatre, brewery, bookshop, men's and women's clothiers, jewelers, Vermont crafts and products, toy stores, music shops, a hobby shop, a country store, an art shop, home improvement and lumber yard, a museum, and several galleries. Downtown Bennington is also home to Bennington Potters, Oldcastle Theatre, Hemming's Motor News, Robert Frost Grave and the Old First Church, the Bennington Museum, Grandma Moses' Schoolhouse, Old Blacksmith Shop Visitor Center, and Madison's Brewery. Other notable downtown businesses include the South Street Cafe, the Gamers' Grotto (an independently owned video game store and game console arcade) and the Blue Benn Diner. The downtown area is noted for its historically preserved architecture, outdoor seasonal dining, locally owned shops, cafés, Memorial Fountain Park, antique shops, and river walk paralleling the Walloomsac River. Downtown Bennington is a designated "Vermont Main Street" participant overseen and operated by the Better Bennington Corporation, a nationally accredited National Main Street Program by the National Trust for Historic Preservation. In January 2005, the Select Board proposed a big box bylaw, primarily in response to Wal-Mart's plans to raze its existing 51,000-square-foot (4,700 m2) outlet and replace it with a 150,000-square-foot (14,000 m2) Supercenter. The potential negative impact on the town's local economy, the reportedly low wages paid by Wal-Mart to its employees, and controversies associated with Wal-Mart in general were cited as reasons in support of the bylaw. The bylaw called for a 50,000-to-75,000-square-foot (4,600 to 7,000 m2) cap on big box stores. In addition, any retailer wishing to build a store greater than 30,000 square feet (2,800 m2) of aggregate store space would be required to submit and pay for an evaluation known as a Community Impact Study to the Select Board for approval. Residents voted against the initial proposal in April, 2005. However, the Select Board passed a new bylaw on August 1, 2005, that went into effect August 22. Bennington is the largest town, and the second largest municipality in Vermont (after Rutland City), that is not located on or near either of Vermont's two major Interstate highways. It is, however, signed on Interstate 91 at Exit 2 in Brattleboro and Interstate 787 at Exit 9E in Green Island, New York. U.S. Route 7, originating in Connecticut and continuing northward to the Canada–US border, enters Bennington from the town of Pownal, winding its way through the rural countryside in the southern portion of town as a two-way traffic, two-lane surface street. Its names are South Street and North Street in the downtown district, meeting Route 9 at an intersection in downtown known locally as the "Four Corners", but officially known as Putnam Square as the Putnam House sits on the southwest corner of the intersection. It then becomes a divided highway just south of the intersection between Northside Drive and Kocher Drive. From there, it is a 4-lane limited access highway with two interchanges within the town before entering Shaftsbury as a Super 2 freeway as it connects Bennington with Manchester and Rutland to the north. Route 7 is also known as the Ethan Allen Highway for most of its length within Vermont. VT Route 9 enters the town from the New York border in Hoosick, where the roadway continues west as NY Route 7, connecting to New York state's Capital District. Route 9 is two lanes wide with two-way traffic over its entire segment in Bennington, intersecting with US Route 7 at "Four Corners" in the downtown district. It leaves Bennington approximately 1 mile (1.6 km) east of the half-completed SPUI interchange at the eastern end of VT Route 279, continuing toward Wilmington and Brattleboro and connecting the town to ski areas such as Mount Snow to the east. Its local street names in town are West Road (westward from Old Bennington to the New York border), Monument Avenue (on a short section of the rotary near the Old First Church) and Main Street. The entire portion of Route 9 within Vermont is also known as the Molly Stark Trail. VT Route 279, also known as the Bennington Bypass, is a Super 2 freeway whose northern segment began construction in August 2007. This segment of Route 279 was completed and officially opened to traffic on August 30, 2012. The western segment, which continues westward as NY Reference Route 915G (unsigned) into Hoosick, New York, before meeting NY Route 7 at an at-grade intersection, and the first segment to be built, officially opened to traffic on October 12, 2004. This road forms a rough semi-circle shape around and north of the unincorporated portion of the town, loosely parallelling VT Route 9 while doing so. In addition, a Vermont Welcome Center, located at the center of Route 279's interchange with US 7, officially opened on October 11, 2013. Historic VT Route 7A, so named to distinguish it from the freeway portion of US 7, is the former alignment of that road prior to the freeway being built. It begins at an at-grade intersection with US 7 and continues east as Kocher Drive, and northwestward from this intersection where the route begins as Northside Drive. This segment passes much of Bennington's big box store and fast food restaurant development in the northern part of the town. Route 7A then splits from Northside Drive to the right where it continues northward as the Shires of Vermont Byway, paralleling Route 7 to the west. It is a two-lane road from there, passing under VT Route 279 with no interchange. A trumpet interchange connects Route 7A back with Route 7 (where it is Exit 2 from that highway) before entering Shaftsbury to the north. Vermont Route 67A remains within Bennington for its entire length. The route begins at an intersection with Route 67, continuing southward as Water Street in the village of North Bennington, passing by several manufacturing companines along the way. It then turns southeastward, closely paralleling the Walloomsac River along its northern banks, and briefly becomes a 4-lane divided surface arterial past Bennington College where it meets VT 279 at a parclo interchange. This segment is known as North Bennington Road, all the way to its southern end where the road continues southeastward as Route 7A and Northside Drive (mentioned above). Bennington is home to the Green Mountain Community Network (GMCN), who operate the local Green Mountain Express bus service. As of September 29, 2014, they provide 5 in-town routes Monday through Saturday from 7:35 am to 6 pm on weekdays, and 3 out of town commuter routes serving Manchester (weekdays and Saturdays), Williamstown (weekdays) and Wilmington (weekdays in collaboration with Southeast Vermont Transit, formerly the Deerfield Valley Transit Association's, "MOOver"), and intermediate points. A transit center for the bus company and passengers officially opened on Pleasant Street July 9, 2012. Intercity bus service is provided by the weekday operating Yankee Trails World Travel's Albany-Bennington Shuttle, as well as by Premier Coach's Vermont Translines, in its partnership with Greyhound, which operates its Albany to Burlington bus line daily. Service on the latter bus route began June 9, 2014. Both buses serve the town from GMCN's bus terminal. A few taxi companies, including Bennington Taxi, Walt's Taxi and Monument Taxi, currently serve Bennington and surrounding areas. The Vermont Railway freight rail line, and an exempt rail spur, traverses Bennington in the northern portions. The closest Amtrak train station is at the Joseph Scelsi Intermodal Transportation Center in Pittsfield, Massachusetts, served by the Boston to Chicago Lake Shore Limited train. Amtrak train service is also available from Renssalaer, New York. There has been talk of bringing Amtrak Thruway intercity bus service to Bennington as recently as April 2016, and the Vermont Agency of Transportation (VTrans) submitted a study to the state legislature for approval in January 2016 that also evaluated the impact of a bus stop for this projected bus route in Manchester. Rerouting the Ethan Allen Express train through North Bennington and Manchester has been discussed at least since December 2012 as well. The Amtrak Thruway bus line, operated by Vermont Translines as the Vermont Shires Connector, began running in August 2017. William H. Morse State Airport is a public-use, state-owned airport located about 3 miles (5 km) west of downtown Bennington. Also referred to as "Southwest Vermont's Airport", it sits near the northern flank of Mount Anthony and close to the Bennington Battle Monument. Based at this airport is the hub of cargo air carrier AirNow. The closest commercial passenger airport to Bennington is Albany International Airport. 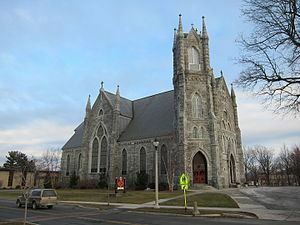 Bennington is home to a variety of municipal, parochial and private schools. Continuing education is supported by a diverse mix of colleges and career development centers. 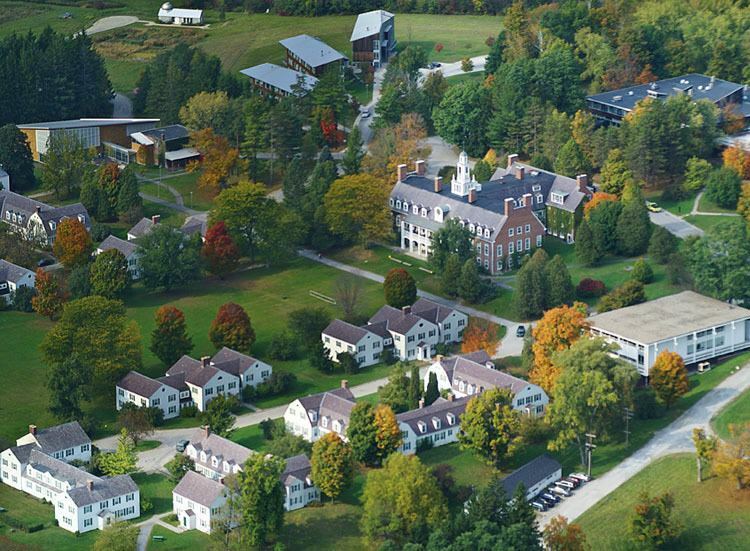 Bennington College is a progressive four-year liberal arts college ranked 89 in Tier 1 by U.S. News College Rankings. Southern Vermont College is a private, four-year, liberal arts college offering a career-directed curriculum. Northeastern Baptist College opened in 2013. Bennington also has separate satellite campuses of the Community College of Vermont and Vermont Technical College, both located downtown. There is one public middle school, the Mount Anthony Union Middle School (MAUMS), and one public high school, the Mount Anthony Union High School (MAUHS). The Southwest Vermont Supervisory Union oversees Bennington's public school system, which also includes a career center, the Southwestern Vermont Career Development Center, located on MAUHS' campus. Grace Christian School is a private, faith-based K-12 school founded in 1995, and is also located in Bennington. Bennington is home to the 28-time defending State Wrestling Champion Mount Anthony Patriots. They have won 28 consecutive Vermont State Wrestling Championships during head coach Scott Legacy's tenure. This is the national record. As of 2010, the Mount Anthony Patriots were also State Champions in Men's and Women's Nordic Skiing, Baseball, Football, Golf, as well as Women's Lacrosse. There are 21 places of worship in Bennington, 20 Christian and one Jewish, and at least 18 denominations. The following list does not included places of worship in North Bennington, which is an incorporated village in Bennington. The town runs Willow Park, a large park north of downtown, which hosts athletic fields, an 18-hole disc-golf course, a common area for group functions and a large children's playground. The town also runs a recreation center on Gage Street, which contains a large indoor year-round swimming pool, softball fields, outdoor basketball court and weight room. Bennington also has a small network of mostly disconnected multi-use recreational trails; there are plans to better connect these paths in the future. The closest state parks to Bennington are Lake Shaftsbury State Park in Shaftsbury and Woodford State Park in Woodford. The Long Trail and Appalachian Trail overlap each other as they pass the town just to the east. Bennington is the home of the Chamber Music Conference and Composers' Forum of the East, a summer institute for amateur musicians. The Conference is held on the campus of Bennington College, and has been located in Bennington for nearly all of its seasons since it was founded in 1946. The Conference also includes a chamber music festival each summer, performed by faculty members at Greenwall Auditorium on the Bennington College campus, with six concerts held between mid-July and mid-August. Bennington is also home to the Oldcastle Theatre Company, a small professional theatre with a special interest in encouraging New England plays. Bennington College, in the village of North Bennington, has been the home base for Sage City Symphony since its founding in 1973 by Louis Calabro. The Symphony plays a challenging program of the traditional repertoire as well as commissioning a new work each year. The Vermont Arts Exchange is a non-profit community arts organization based in the old mill town of North Bennington. The mission of the VAE is to strengthen communities and neighborhoods through the arts. Within the old mill in North Bennington are exhibitions, artist and community workspaces, as well as a successful performance venue in the basement which hosts the Basement Music Series. Concerts run year round and showcase a variety of nationally acclaimed musicians. 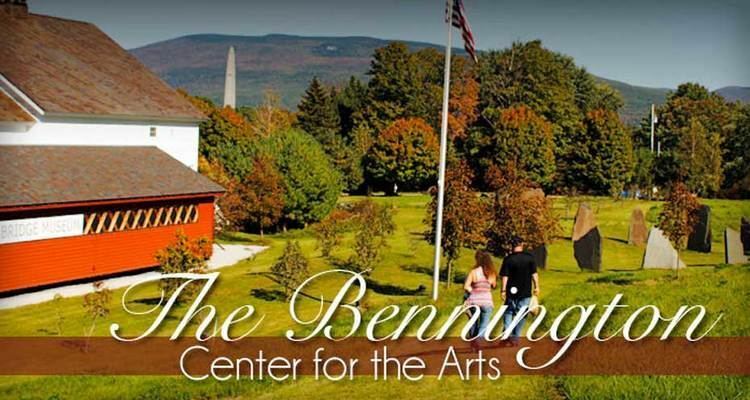 Bennington is home to the Bennington County Choral Society, the Bennington Children's Chorus and the Green Mountain Youth Orchestra. Bennington's local newspaper is the Bennington Banner, with a daily circulation of 7,800. News is also carried in the Troy Record, Rutland Herald and Manchester Journal. Bennington is located in a fringe viewing area of the Albany-Schenectady-Troy television market. In addition to the Albany television stations, which include WRGB (CBS), WTEN (ABC), WNYT (NBC), WXXA-TV (Fox) and WMHT (PBS), Comcast carries WCAX-TV, the Burlington CBS affiliate, and Rutland Vermont PBS outlet WVER. The radio stations WBTN-AM 1370 and VPR affiliate WBTN-FM 94.3 broadcast from, and are licensed to Bennington. The alternative music radio station WEQX is located in nearby Manchester. Bennington is also within range of several stations from Glens Falls and the Capital District. Bennington is home to Southwestern Vermont Medical Center, a community hospital that serves southern Vermont and has satellite clinics in Manchester, Pownal and Wilmington. The 99-bed medical center is also associated with a large modern cancer center. A number of primary and specialty care providers practice in the Bennington area. Most are affiliated with the Southwestern Vermont Healthcare system. United Counseling Services (UCS) provides Bennington, and the remainder of Bennington County, with services for mental health, developmental disabilities, and substance abuse. The agency is headquartered in Bennington and has a satellite office in Manchester. Bennington's electricity is supplied by Green Mountain Power. Non-purchased surface and groundwater is supplied by the Bolles Brook in Woodford and the Morgan Spring in Bennington, respectively. The Bennington Water Department manages both water sources. Cable television in Bennington is provided by Comcast. Comcast and FairPoint Communications also provide the town with landline phone and high speed Internet service. Author Shirley Jackson's memoirs, Life Among the Savages and Raising Demons, depict mid-20th century life in Bennington. Much of the 1974 action film The Catamount Killing, starring Horst Buchholz and Polly Holliday, was filmed in Bennington. The Walloomsac Farmers Market, held in Bennington each Saturday, ranked #72 on The Daily Meal's 101 Best Farmer's Markets for 2014 list. Southern Vermont College's Everett Mansion was featured in a 2015 episode of SyFy's Ghost Hunters.